Our apartments are situated in the newly renovated zone of Pest in a pedestrian zone, in one of the most elegant and attractive part – the real heart - of the city of Budapest. The beautiful St. Steven Basilica, the Opera House and the famous shopping street, "Vaci Utca" are just a few steps away from here. The optimal position of the apartments (in Hercegprímás utca) nearby the most popular touristic attractions, bars, restaurants and banks makes Empedocle Comfort Suite an ideal choice for tourists or businessmen looking for a room or an entire apartment in Budapest. The new shopping streets and the most elegant restaurants can easily be reached from here. 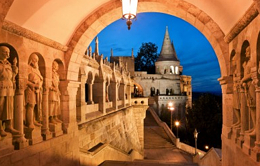 It’s worth to taste the famous Hungarian and Italian cuisine, or simply take a coffee in one of them. 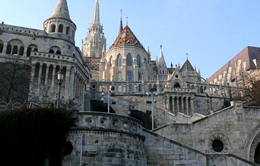 Would you like to stay in Budapest for a short or long period, and you are trying to find a solution at a moderate price, while still need conveniences and amenities of a hotel? You have found the right solution! If you come to Budapest for work, and you would want to organize a meeting, it’s also possible to book our well-equipped office (Business Centre) with multilingual personnel. Our hotel-staff will assist you in any of your multiple demands making your stay in Budapest pleasant, secure and careless.